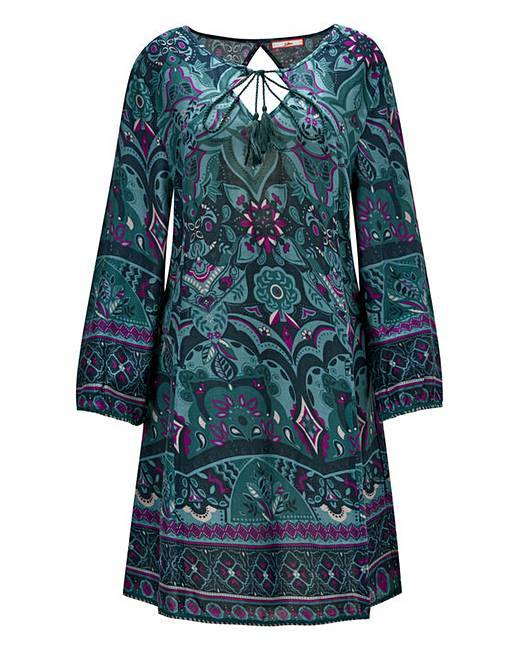 Joe Browns Sumptuous Print Tunic is rated 2.6 out of 5 by 5. Exclusive to us in sizes 20-32. Perfect to throw over your swimsuit or to dress up for the evening, this versatile tunic is a flattering, comfy and a great addition to your holiday wardrobe. Rated 1 out of 5 by Ange from Small fitting I ordered 2 sizes 16 & 18 as normally depending on fit one will fit, but even the 18 was too small. Rated 5 out of 5 by RachelAnn1 from Good size and quality Loved the colours but fit was very tight so returned.